Local priority species. Some wildlife species in Barnsley require protection and positive action to halt any decline and to maintain or increase their numbers. The things they need to thrive - to breed, feed and shelter - should be protected and enhanced. Almost a 1,000 native animal and plant species have been given conservation priority status in England, because of the severity of their decline. Many of these are common and widespread. 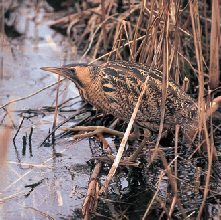 Anecdotal information suggests similar declines in Barnsley although, as elsewhere, there are some success stories with for example bittern now breeding and overwintering in the Dearne Valley. Mammals. 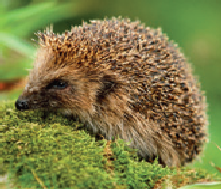 Harvest mouse, water vole, hedgehog, brown hare, mountain hare, otter, and three bat types, all present in Barnsley, are priority species nationally, nine in total. In addition all the other bat species present in Barnsley are also local priority species. Reptiles. Records of reptiles in Barnsley include grass snake and common lizard, and more rarely adder and slow-worm, all national priority species. Plants. The range of habitats across Barnsley supports in turn a range of different lower plants, fungi, lichen, and flowering plants. Habitats such as blanket bog or mine spoil heaps, support rarer plants, some being priority species or assemblages. Fish. 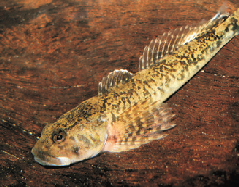 Bullhead, brown trout and eel are all national priority species present in Barnsley. Salmon another national priority species is not present yet in Barnsley although found downstream of weirs in the Don catchment just outside Barnsley. Invertebrates. The large majority of animal species in Barnsley are invertebrates, all the insects - bees, butterflies, moths, beetles and flies; spiders, snails, slugs and worms. A single site supports glowworm. White clawed crayfish are present in a few streams. Amphibians. 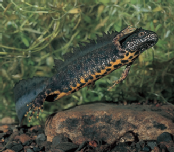 Amphibians in Barnsley include national priority species: great crested newt and common toad, and frog and other newts. Sites with good assemblages of amphibian species are also a priority. Birds. At least 25 national priority bird species are found breeding in Barnsley including 20 red listed birds. A further ten red listed birds are also prioritised locally together with some amber and green listed birds. These include farmland, woodland, moorland and wetland species as well as those more widespread like sparrow and starling. 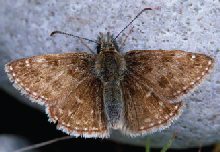 A list of 943 species has been published for England under Section 41 of the NERC Act 2006 as threatened and requiring action to conserve numbers. The S41 list includes all the species in England identified in the 2007 UK BAP, with the addition of hen harrier. Outcome 3 of the Biodiversity 2020 Strategy relates to the improvement in the status of our wildlife and the recovery of England’s S41 priority species. All S41 listed species are prioritised locally if they regularly breed or overwinter in Barnsley. Schedules 1, 5 and 8 of the Wildlife and Countryside Act 1981 list birds,animals and plants respectively for which there is special protection. These are also prioritised locally. In addition species on non-statutory ‘red’ lists because of their decline in numbers will also be prioritised locally. Which species in Barnsley should get our attention? of local concern or interest. There are some species for which there are signs that, although they do not currently breed or overwinter in Barnsley, they potentially could do so, and these will be prioritised as well. Sites where there are good populations and assemblages of species, will warrant attention, even when these are not all priority or rare species. In many cases general habitat conservation management will support a range of species. Each priority habitat section in this plan refers to the priority species (and other species) that it supports and the conservation management needed. Sometimes however specific action will be needed for individual species to improve their numbers. In this case reference will be made to this either within the relevant priority habitat section of the BAP or in a section on the species itself or group of species. 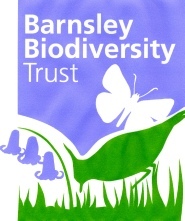 More information is being prepared on the priority species in Barnsley with action plans for some species on how they can be protected and supported. 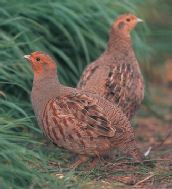 Information on priority species in the 2008-12 Biodiversity Action Plan is available here.